Designed to take down the toughest birds with one shot. Designed specifically for turkey hunting, Rage Xtreme Turkey Broadheads are guaranteed to drop any turkey in its tracks. 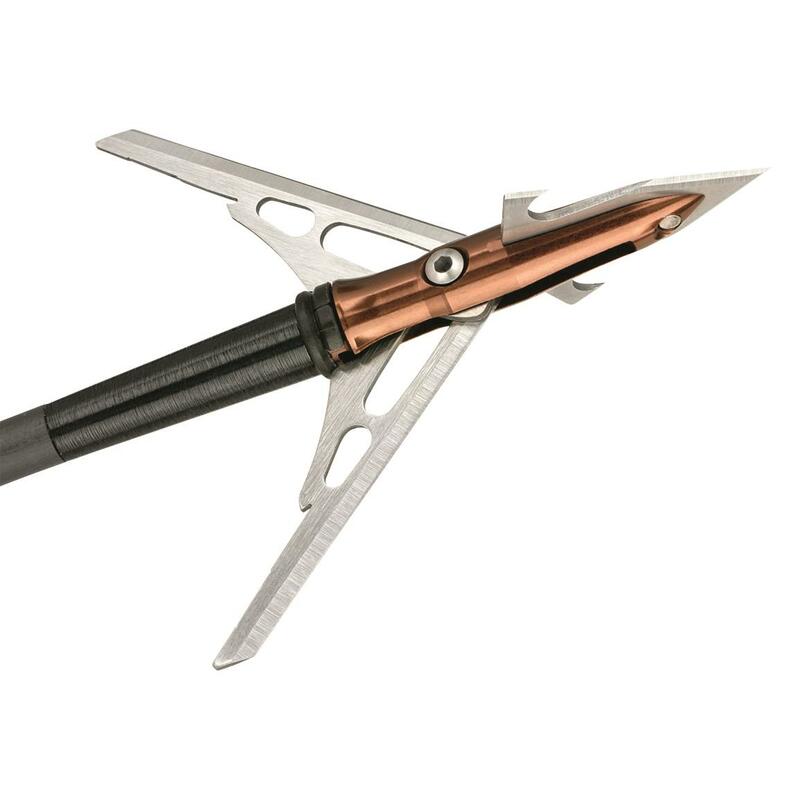 Each Broadhead features a cut-on-contact tip with massive meat hooks and surgically-ground stainless steel blades. Broadheads come equipped with anodized aluminum ferrule and Rage Shock CollarTM for optimum blade retention and consistent deployment. Rage Xtreme Turkey Broadhead, 100 Grain, 2 Pack is rated 5.0 out of 5 by 1. Rated 5 out of 5 by Crankeyguy from WOW! These do shoot right on the money just like my field points like it says on the package. Glad I took my other ones I bought back. Feel real good about these.